Are you a victim of office politics? If you’ve been in the workforce long enough, it is likely that you have witnessed office politics or been a perpetrator or a victim. There is no workplace without politics. Politics is like air pollution, there’s no place on earth with the perfect air. It’s just the degree of pollution that varies. The best bet is to find an organisation with tolerable levels of politics. Organisational politics is as old as the human history. Understanding human psychology and social interaction is imperative to getting a handle on workplace politics. Political behavior starts as early as childhood and can be best understood in the family context. Sibling rivalry is an example. Politics in simple terms is the misrepresentation of facts for personal advantage. Melanie, 5 and Audrey, 8 are left to themselves till their parents get home from work and are expected to finish their homework. In turn, they get to play video games as their reward. Audrey is almost done with her homework and heaves a sigh of relief. She’s happy mom’s going to let her play video games and reminds Melanie to start with her homework. Melanie chooses to watch TV instead. Right when it’s almost time for mom to arrive home, she realizes she’s in trouble with mom for the homework, whereas Audrey’s going to get to play. She grabs Audrey’s homework sheet almost crumpling it. Audrey gets impulsive in an attempt to save her homework and they both get into a hair-pulling fight when Moms car turns in the driveway. What happens next is politics..it is fascinating to watch how an innocent looking 5-year old manipulates an adult, without even being taught. Audrey : You brat, how dare you? Mom : Audrey, apologize to your little sister. This is not the example you’re supposed to set. NO name calling!!! Audrey : But mom! (sigh) she almost ruined my homework. (Ironing the homework sheet with her tiny hands) Miss. Jones would have made me stand out of the class tomorrow. Mom : Audrey, you heard me. Apologize NOW!!! Mom : Now, go to your room. No video games today. I expect you to be more responsible with Melanie next time. Melanie : Mom (sobbing harder). She’s always bullying me, oh my hand.. Mom : That’s alright sweetheart, let’s look at the bruise. Young children are adept at manipulating adults without having to be taught. This happens even though adults are smarter and know better. As we grow up, our ability to manipulate matures and we’re able to connive professionally. The impact is far reaching and could affect business units and the careers of many employees. It all boils down to “what’s in it for me” or “how can I keep another from succeeding since I can’t”. Though any individual can be tempted to engage in organisational politics, it’s often those with low integrity levels who are most likely to engage in underhand means. Strong governance and policies, Key Performance Indicators and Key Performance Objectives can make it difficult for politically inspired decisions. However, it cannot stop power play. Some strategic decisions at the senior management level are not as straightforward and often there is a grey area. These are the kind of decisions that can be politically influenced but packaged in well-meaning initiatives. People with high levels of integrity are likely to decide differently. Smart Hiring decisions help nip office politics at the bud. Make integrity an imperative while hiring and implement a zero tolerance policy towards integrity issues. That will give you a better chance of creating a less political work environment. Intuition comes in handy in combating office politics. Even when all the facts make perfect sense, the sixth sense can save you from a major disaster. The independence of the Human Resources function and business is another factor which influences office politics. If the HR function is unduly influenced by personal ties and power play, it is more likely that office politics will flourish. Political intents uncover themselves in time but once mistakes are made, it is quite impossible to backtrack in most cases. The worst thing that happens to a company where politics goes unchecked is that, the best talent are likely to leave. Stories circulating in the “gossip column” are more powerful than the “about us” and “culture” section in the company website. Also employees learn by their own experience and the experience of their peers. A real or perceived differential reward system is one of the reasons why politics exists. In this case, the perpetrators use their power to get even. Politics also rears its ugly head as backstabbing. When an individual is perceived as competent and therefore a threat, it is very likely that the group gets rid of them. It is not difficult to identify or empathize with a victim of organisational politics. Being in their shoes and continuously displaying professionalism and work ethic is an altogether different story. Taking a vacation can help get to terms with reality and gain perspective. The need to be treated fairly is a basic human need and injustice — be it perceived or factual, can take a toll on your self-esteem. This can also lead to psychosomatic diseases if not handled the right way. Being a victim of office politics is similar to being physically wounded and it takes a while to recover. Once you have confided about the matter with a friend, avoid going over the juicy details with every acquaintance. Rehearsing the incident is like removing the bandage to see how bad the wound is. That doesn’t help heal faster. On the contrary, it does exactly the opposite! 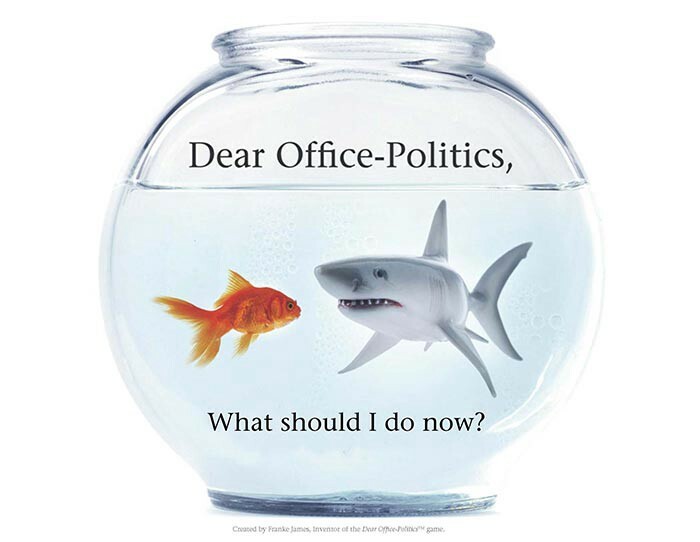 If you’re a victim of office politics, you have three choices — to move on, stay back and hope for a change or escalate the issue. There is no right or wrong choice, you’d have to evaluate the pros and cons of each choice before you decide. Resist the urge to be impulsive. Stay analytical and keep emotions out of your decision making. Whichever route you take, having the first hand experience of office politics will help you understand and apply organisational behavior. This will undoubtedly add value to your next role. Remember, never to burn bridges. Bad badmouthing perpetrators on social media only shows that you’re immature. Mud slinging and gossiping is a big No-no. You could try escalating to HR — if you feel HR is not part of the problem. It is rare that the HR organisation operates independently so be wary of being vocal, unless you have decided to move on. In most companies, the HR organisation has to support business decisions so that they can survive and major decisions are almost always influenced by business leaders. Melanie and Audrey might forget the “homework tearing” episode and go back to playing together with the dollhouse the next day. They’re not “smart” enough to hold grudges. Perhaps, we adults should that too! It will sure help you stay sane in the rat race to the top of the corporate ladder!